Weekend Pattering for October 30th, 2015-- They did the Monster Mash! ** The Week That Was: It was quite a frightful week here at Panel Patter. Scott C. read Injection Volume 1. 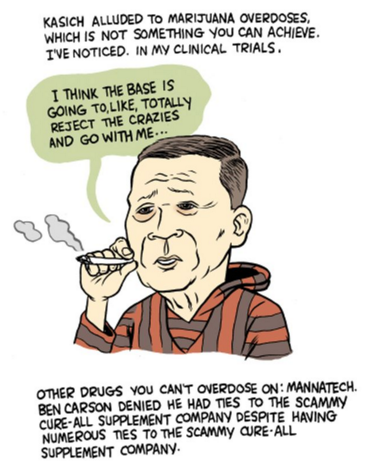 Rob M. focused on a comic by Lucy Bellwood last weekend's Graphic Nonfiction. Even though the sale is over, you can check out these great digital horror comics that Rob M. highlighted. Mark D. reviewed Rowan's Ruins #1. October 31st is Halloween but it's also Seattle's Short Run Comix and Art Festival and Rob M. tells you why you should go to it. Brianne R. looks at a new retelling of the Frankenstein story in Gris Grimly's Frankenstein. Rob M. points you to Emily Carrol's horror comics on her website. Rob M. is really in the Halloween spirit and dives into The New Deadwardians. ** The Illustrated Guide to the 'Comic Book' GOP Debate (Rolling Stone): The GOP debate may end up being the most frightening thing that happens all week and Matt Bors provides a guide to the debate that should frame the candidates and issues in ways that comic fanboys will understand. ** An Announcement (Sidebar): The excellent art-focused podcast Sidebar has announced that they're ending their podcast after an almost eight-year run. The podcast has interviewed and talked about many comic artists and graphic illustrators over their time during a period where the critical conversation has been derided for being writer-focused. This hasn't been a podcast that I've automatically listened to every episode of but when they highlight an artist that I like, it's been one I've made sure to check out. Go and listen through their archives. There's some great conversation in there. ** Closing the Library Doors (Collected Comics Library): And another one falls. Chris Marshall of CCL was actually probably one of the first podcasts I listened to back in the heady days of 2005. 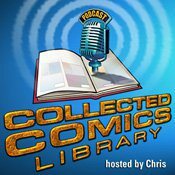 He started his podcast focusing on collected comics back when there weren't nearly as many comics collected as books as there are now. But after 10 years, he's closing up shop as well. It's been a great run for Chris and I personally wish him the best as his professional life takes him in new directions. ** There Is No Short Cut (Noah Van Sciver): Noah Van Sciver offers advice for people who want to work in comics. A lot of Van Sciver's points are fairly common but bear repeating. But he has one piece of advice that I don't know if it gets mentioned that often. Obviously I idolized Robert Crumb since the very beginning. I began printing my own comics when I was working at a bagel shop. I was a loner. A college drop out with nothing going on. But fatefully I happened upon the film Crumb after I had already rented everything else at my local Blockbuster video. And after I saw that film I never returned it. At work I began daydreaming about being an underground comic artist. I read everything I could find by and about Crumb. Learning about him and how he became a successful artist was incredibly inspiring to me. It charged me up. it was deeply affecting to me and gave me an entirely new art education. From Crumb I discovered Kurtzman, Jack Davis, Will Elder, and Fantagraphics books. From Fantagraphics books I discovered the alternative comics world! It was the beginning of something powerful in my life. ** For the Love of Comics (John Porcellino): And because he gets name dropped in it, John Porcellino offers a follow-up to Van Sciver's piece. ** 6 Filmmaking Tips from Martin Scorsese (Film School Rejects): While we're in the nuts and bolts section of linking this week, these tips from movie director Martin Scorsese are more about crafting story than they are about making movies. 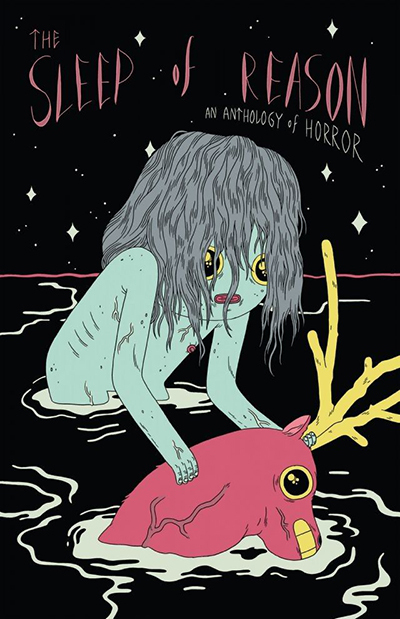 ** Required Reading: 50 of the Best Horror Comics (Paste): And to get back into the Halloween spirit, here's Paste's list of 50 essential horror comics. It's a list that's encompassing but really focused on the work of Alan Moore and DC Comics. And only one Richard Corben comic? And a fairly recent one at that? ** Publishing News: Some publishing announcements for early 2016. The NBM lineup looks particularly interesting this year. They're a publisher that I don't pay nearly enough attention to. **Two Pop Culture Wars: First Over Comics, Then Over Music (New York Times): The New York Times draws connections between Frederick Wertham's crusade against comics in the 1950s to Tipper Gore's war against music in the 1980s. It focuses more on the conflict between popular culture and the crusade for morality in art more than it does on the Senate hearings that really neutered comics in their golden age. As for violence, where would art and literature be without it? The Book of Genesis could not go more than three chapters without its first murder. Bodies litter the stage in Shakespeare’s tragedies. Grimm fairy tales are grim indeed. In the American Film Institute’s lineup of the 100 greatest American movies of all time, at least 60 contain one form of brutality or another, much of it exceedingly bloody. 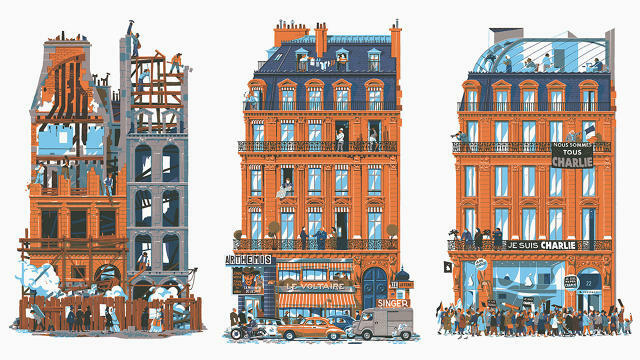 **750 Years Of Parisian History, As Told Through Architectural Illustrations (FastCoDesign): Vincent Mahé's book from Nobrow is a wonderful time machine. Hopefully, we at Panel Patter will get to cover this book soon but for now check out this piece on the book at FastCoDesign. To Mahé, architecture offers a compelling narrative, especially considering that Paris has pretty stringent conservation laws. "Buildings tell everything in cities," he says. "From the oldest building from the middle ages renovated many times to the contemporary museum built two years ago, they're like glass, wood, and stone giants that can live for 500 years. During this 'life' they can show wealth and poverty, war times and peace."